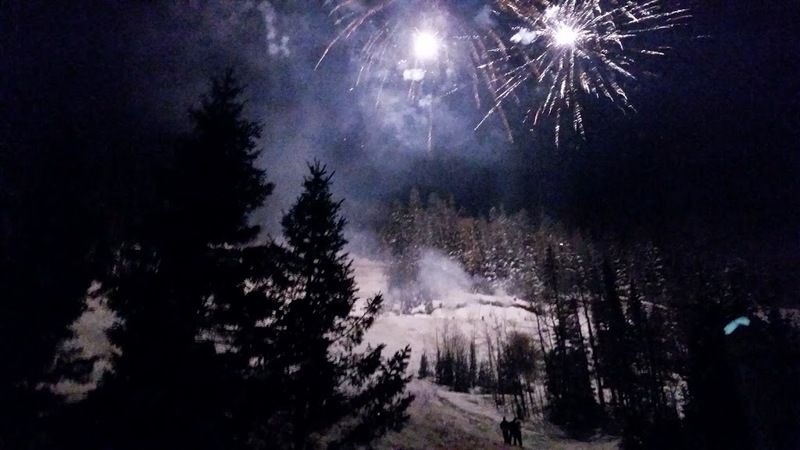 Taos Ski Valley’s Annual New Year’s Eve Celebrations lit up the sky last night. After the magical torchlight parade of skiers make their way down the mountain soon after dark with flares attached to their poles lighting the run, an impressive fireworks display kicks off the all night party. January 1st 2015, the mountain is open for business as usual but after spending a few hours up there last night, I predict a lot of hangovers on the slopes. Might be a good idea to skip the lifts and Apres Ski all day! Great photo! Happy New Year to taoStyle!